Saturday and Sunday, the two days of rest after a busy week at the office. Right? Wrong! The weekend is the perfect time to sink your teeth into all the household DIY projects you’ve been putting off. Setting new fence posts, fixing the gutters, glueing handles back onto the cupboards – not a second need be wasted. We all know household DIY isn’t always the most riveting of tasks. Let’s be honest. No one wants to spend their morning cleaning out the gutters. But, with the right tools and products, DIY is a breeze. Here at Royal Adhesive Industries, we have a range of consumer products guaranteed to make your life easier. This weekend, why not dawn bright and early, nip down to your nearest hardware store, stock up on Royal Adhesive products, and get your hands dirty. One of our most exciting products on the market is Fast Post Anchor. This award-winning innovation is a convenient (and affordable) alternative to concrete for setting fence posts, signs, mailboxes, and more. It can even be used to anchor items like bicycle racks, park benches and statues. With Fast Post Anchor, you no longer require bags and bags of heavy concrete. In fact, the expanding nature of the product means you can replace a 40kg bag of concrete mix with one 600g bag of Fast Post Anchor. The two-part proprietary polymer expands immediately after mixing, filling the void between the fence post and hole in seconds. Why choose Fast Post Anchor for your fence posts? While weekends are perfect for DIY projects, no one wants to spend their whole day off doing household chores. You need time to laze by the pool with a beer in hand too. That’s why products like Fast Post Anchor make lengthy tasks, such a putting up a fence, quick and painless. Besides not having to lug heavy bags of concrete around, Fast Post Anchor is both easy to mix and use. Gone are the days of mixing the correct ratios of cement, sand, stone and water. Fast Post Anchor combines in thirty seconds, and it doesn’t even require water. 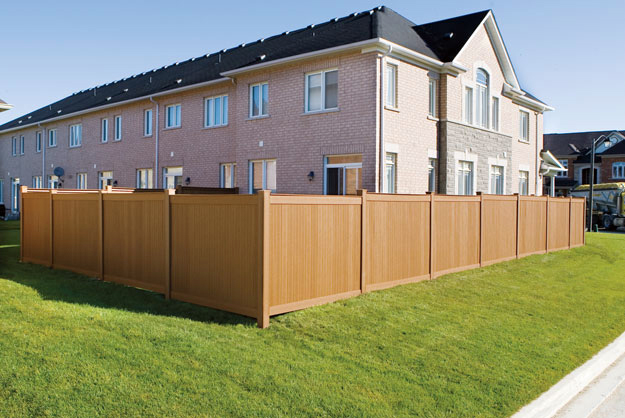 The best part is it becomes completely waterproof once fully cured, protecting your fence posts from rotting and corrosion. A single bag of Fast Post Anchor is enough to set a 75-100mm pole in a 15cm wide hole with a depth of 600mm. Once your hole is ready, you can mix your bag of Fast Post Anchor. Grab a pair of safety glasses and gloves, remove the black outer clip and immediately mix the contents for 25-30 seconds. Avoid mixing for too long. Any longer than 30 seconds and the product will begin to expand inside the bag. Once mixed, cut a hole in the bag and pour the contents into your hole with the fence post inside. The mixture will begin expanding immediately. Allow the mixture to set. Setting time is only two to five minutes. Once fully cured, the Fast Post Anchor will be sturdy and waterproof, holding your post securely. The product is environmentally friendly, making it a suitable choice when reducing your carbon footprint. Soil can be placed over the cured mixture to hide it from view. With Fast Post Anchor, setting up your next fence or mailbox will be a piece of cake. Quick and easy, there will be more time for relaxing on the weekend. Do you want to be the first to hear about new products? Sign up for our newsletter and stay up to date with the latest news at Royal Adhesive Industries.